Holistic Home Health & Wellness | Bringing naturopathic medicine home to you! Inflammation is the hidden reason behind why you don’t look and feel your next. Turn down the dial on the #1 threat to your health! I couldn’t be happier for this opportunity to provide you with the natural medicine solutions you’ve been searching for! In addition to a clinic in Waunakee, I also offer house calls and telemedicine visits — you are no longer limited by your location! ​It is my mission, as a naturopathic doctor, to bring affordable, individualized natural health care and education on alternative medicine to families, women and working professionals, whether in my office, or in their own homes and offices. In this manner, it is my mission to lessen the obstacles to health, such as stress & time constraints, which traditional, in-office only physician visits bring. 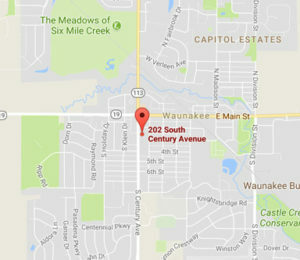 Choose to schedule your appointment at our Waunakee office, located in the Sapphire Studios building. For your convenience, you may choose to have Dr. Whitney come to your home or your place of work. For even greater convenience, you may schedule a phone or video appointment. I was suffering from constant bloating, lack of energy and having difficulty with red ear syndrome. I wanted to find a naturopathic doctor, and started my search online. I saw what Dr. Whitney had to offer in the way of the Food Intolerance Evaluation and other natural homeopathic options, so I made an appointment. I was impressed with her knowledge and options for treatment. She helped me overcome the bloat and lack of energy, by getting to the source of my issue, my food intolerances, but most important was she helped me get rid of my red ears. I highly recommend Dr Whitney and her skills to help you achieve better health! Linda S.
We are so blessed to have Dr. Whitney as our Doctor! Always willing to educate and help when needed! She is very passionate about her work and that is super important to me! We trust her!!! Katrina H.
I was experiencing numerous mysterious health issues that my doctor and many specialists were unable to diagnose. I was experiencing blurry vision, not healing from minor injuries, chronic migraines, fatigue, mouth sores, and leaky gut. My family physician, at a loss to assist me, suggested I see a naturopathic physician. When I meet with Dr. Whitney and did the Food Intolerance Evaluation, I felt hope for the first time in a long time. It was a relief to know and understand that I was eating all the wrong things. With some adjustments to my diet and a few supplements to heal the damage to my system, I immediately started to feel better. Within two months most of my health issues, that had been plaguing me for years, started to disappear. I’d highly recommend the Food Intolerance Evaluation if you find that you have unexplained medical conditions that no medical professional has been able to assist you with. I’ve learned that when my body is working against itself, because I’m not putting the correct things in it, it will wreak havoc on your system. Figuring out on my own would have been difficult, if not impossible, having Dr. Whitney’s assistance through this process was invaluable and one of the best decisions I could have made for my health. Shelby B. We are forever grateful for Dr. Whitney and Holistic Home Health & Wellness. My husband and I had been trying to become pregnant for 3 years before we took a leap of faith and started Dr. Whitney’s protocol. Before that we had been to 3 doctors and tried several interventions- including hormone therapy and surgery- with no progress. Dr. Whitney sat down with me, listened to our story, and created a personalize plan that included understanding my own food intolerances and the inflammation they cause, as well as the bio-therapeutic drainage that helped boost healing and optimize organ functioning. Within two months we had seen major progress and within 6 months I was pregnant! Now we have a healthy baby boy. Dr. Whitney provided support for us every step of the way. When it comes time for baby #2 we will not hesitate to contact Dr. Whitney a second time! Kristen Z. After suffering reflux and heartburn for two months straight with no relief (after trying a variety of medications), I saw Dr. Whitney. She listened to everything I had to say, answered ALL of my questions, and was really set on figuring out what was causing my issues and not just managing my symptoms. After a Food Intolerance Evaluation and using some other natural things, my heartburn has been gone for months! I would recommend Dr. Whitney to anyone! Melissa O.